dopl3r.com - Memes - Shanté Mckissick @heyshantehey How did a generation raised on South Park & Family Guy become so offended by everything? 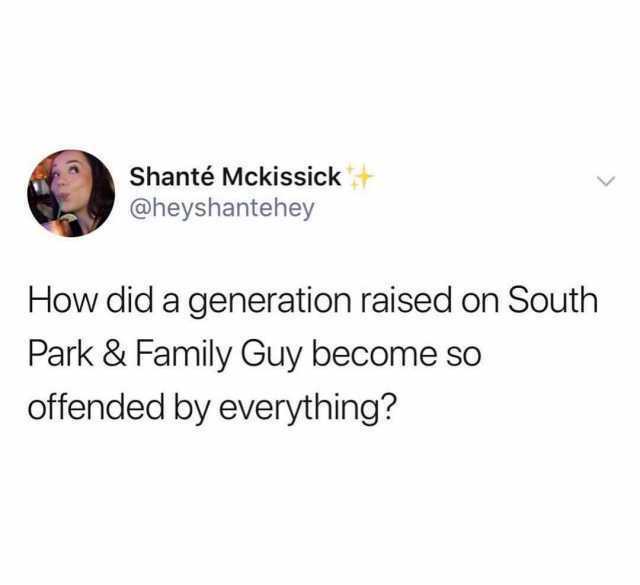 Shanté Mckissick @heyshantehey How did a generation raised on South Park & Family Guy become so offended by everything? Maddy OBrien @Maddy_Obrien27 Hallelujah started playing at church today Kid behind me mom this is the Shrek song Thank god there is still hope for the next generation.